Population 2011: 1.866, 2001: 2.340, 1928: 5.519, 1886: 3.489 inhabitants. Area per person 143 m² per person. Economy relies mainly on agriculture (olives trees, vegetables), trade, craftsmen and laborers. Mitilinii village (Greek: Μυτιληνιοί) is located at the center of the island, at the eastern foothills of “Ambelos” mountain (or Karvounis), on the western edge of the homonymous valley (4 km2 large) which, millions of years ago, used to be a lake. The distances are: 7 km from Pythagorio town, 13 Km from Samos town, 35 Km from Karlovasi town and 33 Km from Marathokampos village. 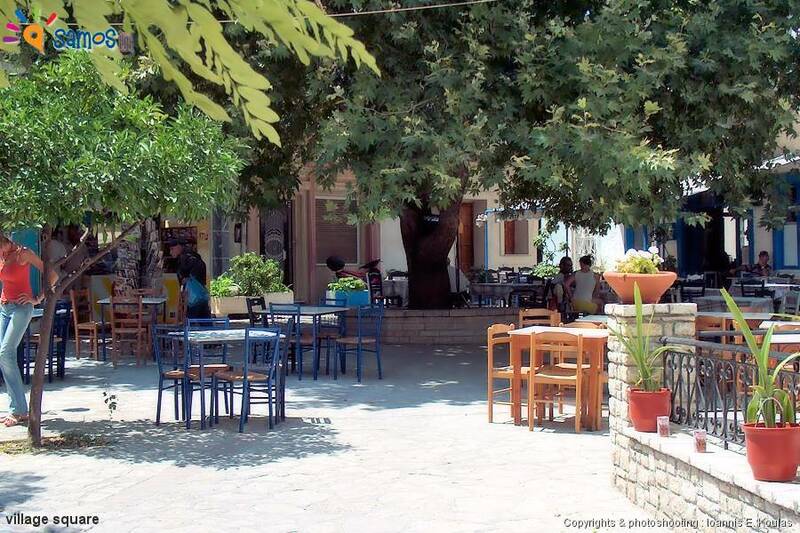 It belongs administratively to the “municipal unity of Pythagorio”. It is quite a substantial village. 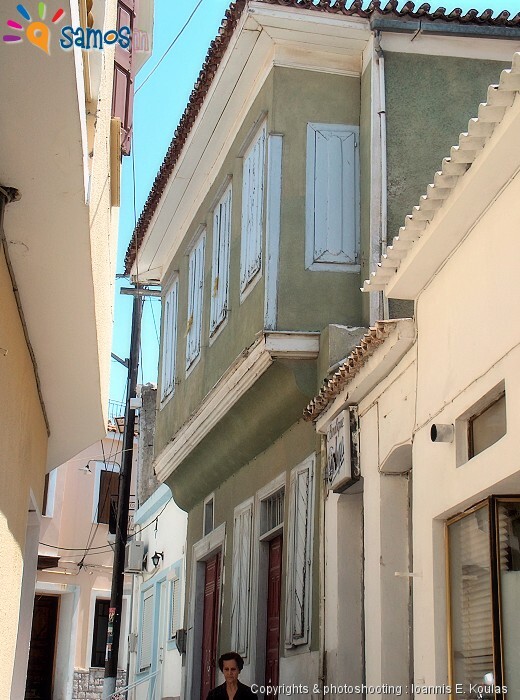 It’s the fourth most populous village on the island (afterSamos, Karlovasi and Vathi) and has had little population variations since its creation, because of the economic prosperity that it use to have and still enjoys. 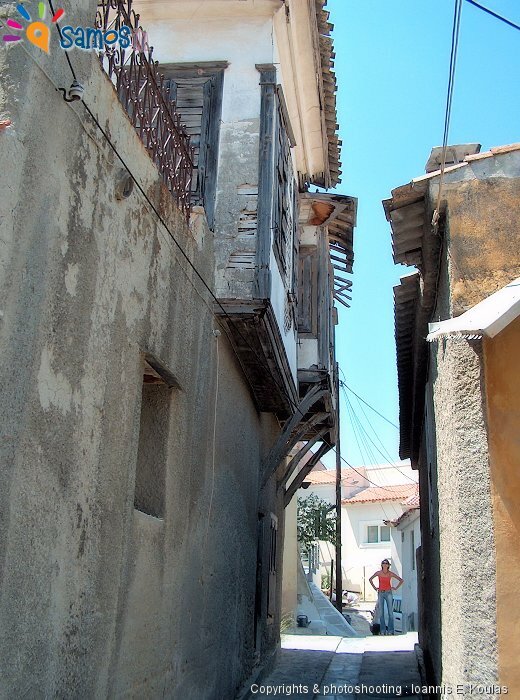 It was built during the mid 16th century (1550-1570) to 17th century by migrants who came from Lesvos island, and especially from the villages of Polichnitos, Vrisa and Nigida. Some say that this happened after an earthquake destroyed their villages. 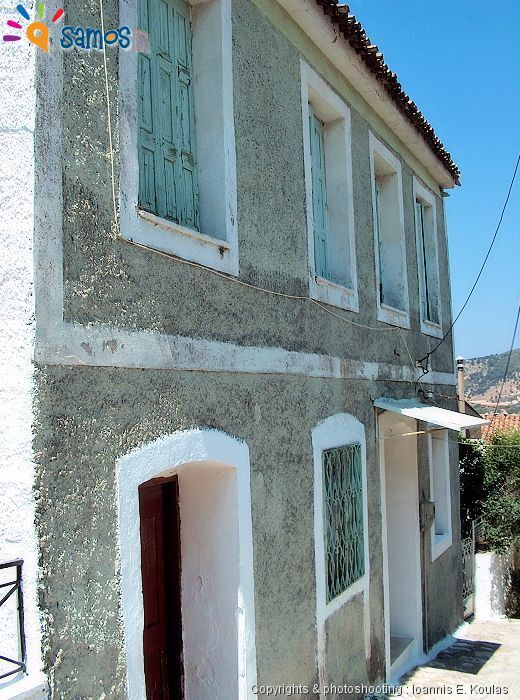 With their diligence and hard work they prospered and also made small colonies like in Kokkari village and Pythagorion. 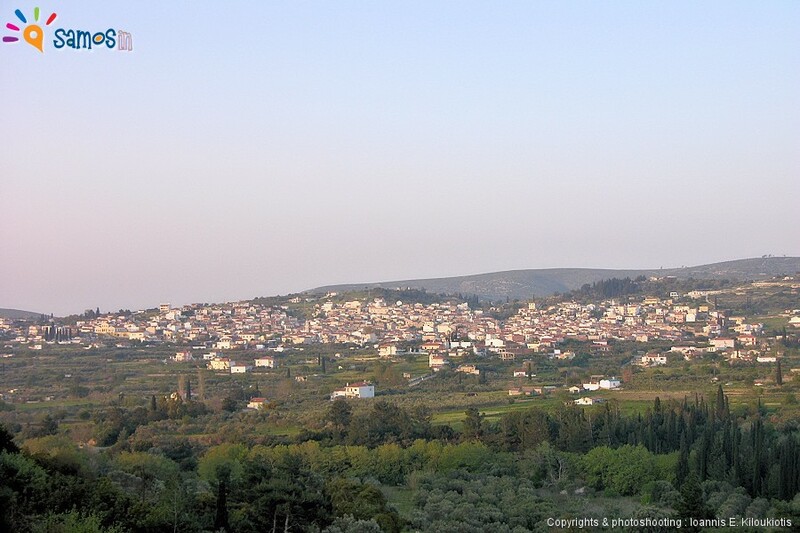 The village name originated from the first inhabitants of the village who came from Mitilini Island (or Lesvos). Mitilinii (Μυτιληνιοί) in Greek means “those from Mitilini Island”, as probably the other inhabitants of the island called them and eventually prevailed as the name of the village. During the past centuries, there were two crops which substantially fuelled the economic growth of the village. First were the viticulture (till the end of the 19th century) and then the cultivation of tobacco (about 1890 till 1980). 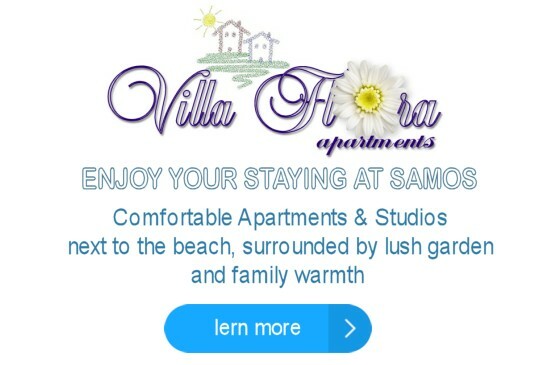 It was the first village in tobacco production in Samos island, because of its climate, soil composition and large cultivated areas. When at the end of the 19th, the disease of phylloxera (Phylloxera vastatrix) destroyed the vineyards of the Mediterranean and as a result Samos as well, they had to destroy all the vineyards, so that the disease would not spread. 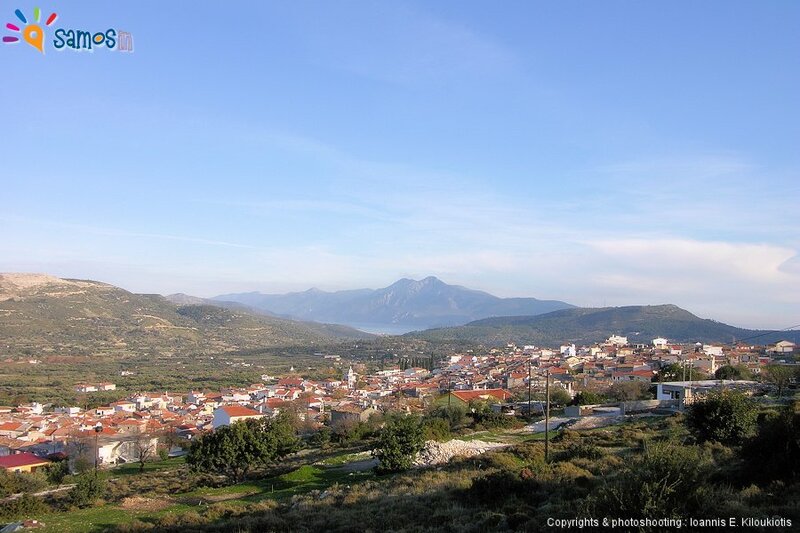 In addition, they had to find a new crop to replace income from wine production and so it was suggested, by the Ministry of Agriculture of hegemonic Samos, to cultivate tobacco instead. When the police tried to burn the vines (because of phylloxera), there was much opposition from the farmers of the village, there were scuffles and 7 people were killed as a result. Eventually the vines were destroyed and so the farmers turned to growing tobacco and became the primary tobacco producers of the island, with 1,300 tons per year, significantly increasing their income. This economic upgrade of the village resulted to the construction of beautiful houses and churches, but also to the development of spiritual movements, by important intellectual people of the island. It‘s remarkable that in 1828 they founded the innovative for its time mutual-learning school in the village. The mutual-learning school was an education venue and method, where the education of pupils was arranged by the teacher but then depended amongst themselves in a mutual manner where the advanced ones assisted the weaker and/or younger pupils. 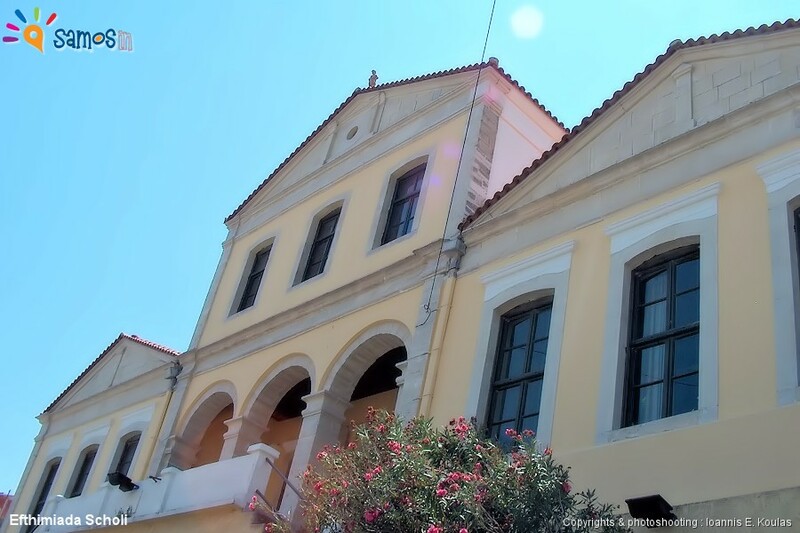 Result of this great economic growth was also and the construction of “Efthimiada Scholi” (Efthimiada school), built in 1893, with the financial support of the hegemonic government, the residents, but mainly by donation of Hierodeacon Efthimiou Kalimniou, that’s why it was named after him. From the beginning of its operation until today it operates as a primary school, with a pause period during Second World War, when the Italian occupation army requisitioned it and used it as a hospital. In the area of the village, the remains of cyclopean defense walls were found as well as many other relics of antiquity, which show that the area was inhabited since ancient times. 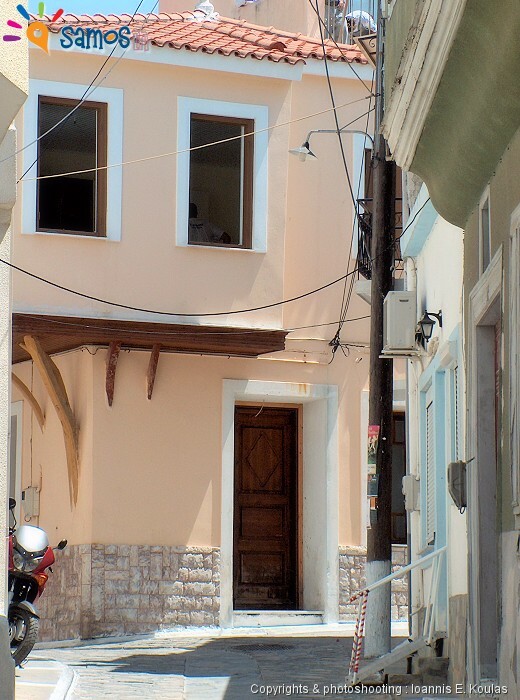 Stroll through the narrow streets of the village, it’s worthwhile. From the main square of the village, many paths begin which will guide you through the picturesque houses of the village and the beautiful churches which were built by early 17th century, as the “Agii Apostoli” and “Agios Nikolaos” but also “Agia Matrona” with its excellent pebbled yard and the “Kimisi tis Theotoku” (Panagia) with the marble-sculpture temple. Visit the Natural History Museum of the Aegean. South-east, 4,5 Km from the village Agias Triadas monastery (Holy Trinity) is located. 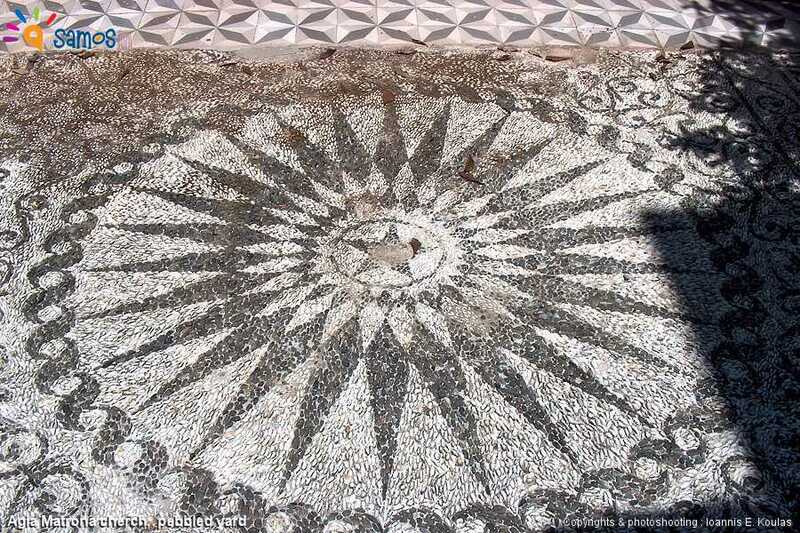 It’s one of the most recent on the island as it’s construction began in 1824. 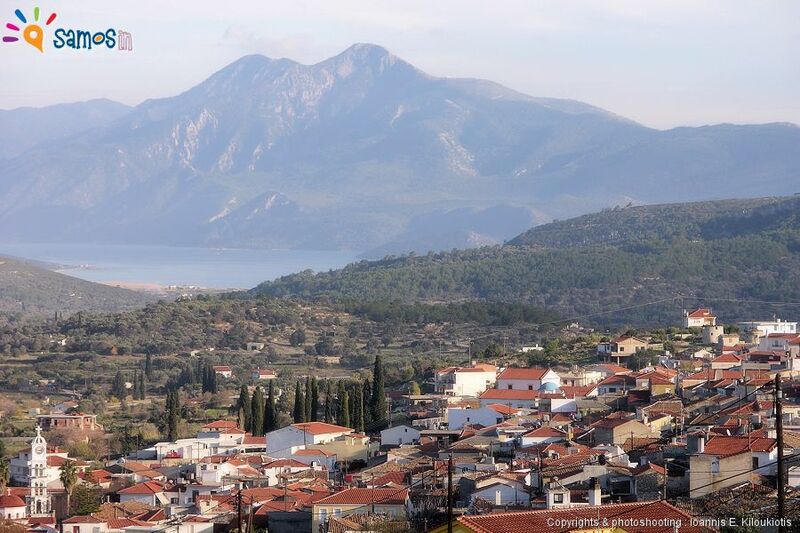 From the village there are many dirt roads leading to the northwest, towards “Ambelos” (or Karvounis) mountain (you’ll need a 4X4 vehicle).